SEO (search engine optimization) – no other single phrase strikes more fear and frustration into the hearts of profit-hungry business owners – and for good reason. The effort involved in getting your web site up in the search Engine rankings, to maintain that ranking and to keep up with the latest changes and adjustments is almost too much for the average Website Newbie or small business owner. SEO can be confusing and complicated. It's “free” (in terms of cash) when you do the job yourself. It can cost you a princely sum if you hire a specialist to do the job. Ok, ready for the good news? The good news: SEO is actually a breeze once you laser-target the keywords relevant to your niche. The problem that most web sites face is competition. There are billions of pages indexed in Google, and millions indexed in other, competing search engines. Inexperienced marketers make the mistake of trying to rank on saturated keywords. They're battling a lost cause. The basis behind using Search Engine Optimization, or SEO, is to get your web site ranked the highest in a specific category within search engines. This is accomplished through the use of highly searched for keywords, multiple page content, and linking strategies. And the reason you'd want to use this technique is that by your site ranking in, say, the first page of your chosen subject, which is really good, you'll be gaining much more traffic than your competitors. The best way to be sure your website is “optimized” for the search engines is to be sure you have plenty of useful content there. And of course, you'll want to provide this to your site visitors anyway. But be sure it's content that has “meat”. Not a bunch of junk. If you have access to private label articles, that's great, but be sure to personalize those articles you're using as page content on your web site. Differentiating yourself is the key. Not only is the content you place within your web pages important, so is regularly adding, or updating, your web site content too. If you frequently add usable content to your site, the search engines will rank your site higher in that specific category. Again, it needs to be useful content. Let me also tell you that by adding lots of useful information to your web site that you will gain much more “out-links” to your web site through other similar sites. This also helps boost your search engine page rank. You can do this either through the use of private label articles that include your “About The Author” resource box where you input your own information, or through free reprint articles. Use your main index.html or Homepage as an article page “template” for this process. It will make it go a lot faster for you and keep your site looking uniform. Find the most searched for keywords and keyword combinations and insert those into your HTML code within META TAGS. This can be done by using any HTML editing software such as Dreamweaver or even the simple Note Pad tool. Understand that the use of keywords within your web pages won't magically produce more traffic to your site, but it will definitely help. And be sure you are inserting the right keywords inside every single web page contained within your entire web site. It will make indexing your pages much more easy, and effective, for the search engines. The more links you have that will retrieve more resources for more information will help your site, or page, rank higher in the search engines. Believe it or not, this is one of the things the search engines look for when adding web pages to their index. Adding “outsource” links will help to boost your search engine rank. With all the above said, it is important to note that experienced marketers know that their true 'salvation', as far as search engine ranking is concerned, lies within the uncommon keyword. Note: Don't make the mistake of thinking that low search volume = targeting. Likewise, don't discard what might be a highly targeted key phrase just because the search volume is low. Even 3 searches per month could translate to an extra 36 sales per year. Proper keyword research is the key to beating the SEO game. However keywords aren't the only factor. You also need to determine how many sites are competing with you on those terms. You can do this through keyword research software or, in Google, simply enter in a term and check the upper-right corner for Google's “results 1-10 out of..” report. This will tell you how many sites Google has indexed with that term or phrase. If the results are at or under 100,000, you've got it easy! It's like being back in the early days. All you need to do then is set up properly constructed pages employing standard optimization tactics. Most of the time this will suffice, as many of your competitors have not optimized and basically ranked on accident. However you don't want to make any assumptions. Take time to browse through the top 10 listings. Examine the referring page's keyword density and link popularity. What you want to do is beat at least the second page of the top ten in ranking. I say this because it may take additional time to beat the number one spot. The #1 page may have a certain mix of incoming links from other sites adding to its ranking, and you'll need to build your link popularity in according and wait for the next “Google Dance” to update the listing. Then, you can analyze whether your tactics influenced a change in ranking. It's really a process of elimination and deductive reasoning. After you achieve your desired placement for your niche terms, keep an eye on them. This task can be simplified with SEO-specific web site monitoring software. While it is not impossible to have your sales page ranked in the top 10, it's not something you should spend too much time trying to achieve. 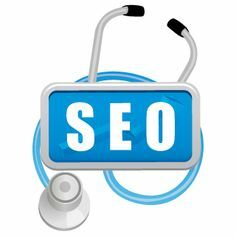 These are easier to work with in terms of SEO, and the odds of achieving a top ten ranking via SEO are higher. You can get away with ignoring it entirely if you so desire. After all, you've got Adwords, Yahoo Ads and Many More Pay Per Click Advertising Platforms along with Joint Ventures and a myriad other tools at your disposal. But it's pretty silly to turn down free traffic. A dozen visitors here, twenty visitors there...it all adds up over time. Sometimes it adds up to an extra 1,000 visitors per year. So go ahead and toss page optimization into your arsenal. It can only help your bottom line. Using effective SEO isn't really that difficult, and you can do this all on your own without too much trouble. Thanks for reading, Have a Great Time. dallas seo package prices, Search engine optimization expert giving thorough search engine optimisation, research advertising and marketing, social networking, and specialist computerized advertising and marketing solutions. Nice article ! What is SEO? Why You Need It? The regular search results (also known as organic listings) that you see below the ads are the ones that are obtained through SEO. Users of search engines generally believe that the organic search results are highly recommended by the search engine. So, they prefer them more than the ads. That?s why SEO is considered an inversion that pays back in the long term.Nowadays, there are a lot of seo service providers in the world . In my experience, XnYnZ.com helps to their customers by providing Search engine visibility service to enhance their website visibility around the internet . Our seo backlink services Company provides Web Optimization at an affordable price to help your website rank better in Google, Bing & Yahoo. You are welcome, Everyone, Thank you for your contributions. Have a good time. Mostly edu and gov websites have High Page rank than other websites,so getting a backlink from those websites will definitely help in increasing sites position in search engines buy backlinks.